Besides Israel’s undeniable accomplishment of launching its first ever space mission with goals of landing an unmanned robotic lander (the “Beresheet”) on the moon, the tiny nation also claims another accomplishment: the first selfie taken in outer space. "Am Yisrael chai” translates from the Hebrew as, "The nation of Israel lives," or, "The people of Israel live." 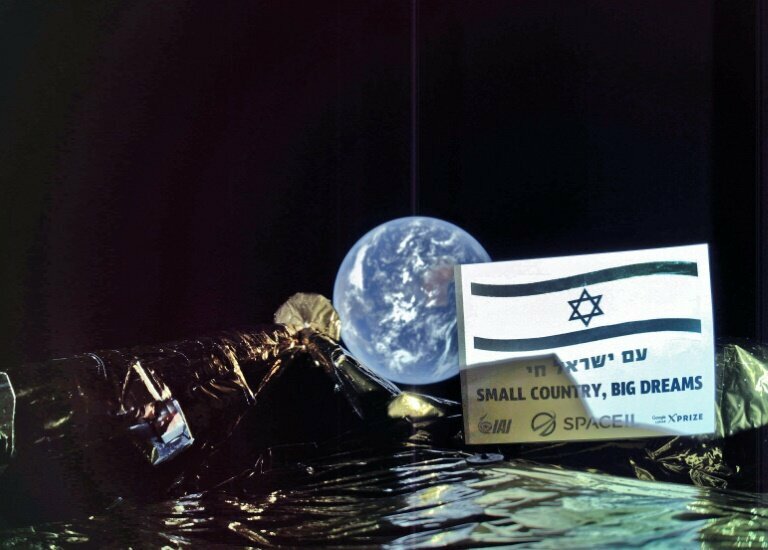 Beresheet, which translates from the Hebrew as, “in the beginning” or “genesis,” was jointly engineered by an Israeli nonprofit agency, SpaceIL along with Israel Aerospace Industries. The high tech lunar spacecraft, about the size of a small dishwasher with four legs, blasted off from Cape Canaveral Air Force Station in Cape Canaveral, Florida, USA mounted on top of a SpaceX Falcon 9 rocket in February of 2019. The vessel is anticipated to encircle the earth multiple times, breaking Israeli speed records at a rate of 10.5 kilometers per second, until sufficient lunar gravity encapsulates the spacecraft pulling it into lunar orbit, the Times of Israel reported. Currently the vessel is orbiting the earth, photobombing our planet with stunning selfies of primarily the southern hemisphere about 131,000 feet above the earth’s surface. Also claiming the honor of being first nonprofit space mission if successful, lunar touchdown is anticipated on April 11 of this year in the Sea of Serenity. The only other nations to have successfully landed on the moon include the United States, China, and the former Soviet Union. Upon reaching the moon, the mission of Beresheet is to measure and map the moon’s magnetic field, one Chinese media source reported. Furthermore, Beresheet also reportedly contains a time capsule encasing a 30-million page archive of the various accomplishments of mankind. The space vessel as well as the archive are intended to remain on lunar terrain indefinitely. "The selfie of the spacecraft is proof of the technological power of Israel," Israeli Minister of Science and Technology Ofir Akunis said, according to SputnikNews. "Despite the small size of the spacecraft Beresheet, it brings us great joy. The spacecraft is proof of the technological strength and power of Israel, and its success passes on an educational message as well to the children of Israel: You need to dream big." "A prudent man foresees evil and hides himself, but the simple pass on and are punished." "Where there is no wood, the fire goes out; and where there is no talebearer, strife ceases"